Jorge Luis Borges has been called the greatest Spanish-language writer of our century. A selection of Borges' dazzling fictions are gathered in this audiobook, brilliantly translated by Andrew Hurley. These enigmatic, elaborate, imaginative inventions display Borges' talent for turning fiction on its head by playing with form and genre and toying with language. Together these incomparable works comprise the perfect compendium for all those who have long loved Borges, and a superb introduction to the master's work for those who have yet to discover this singular genius. 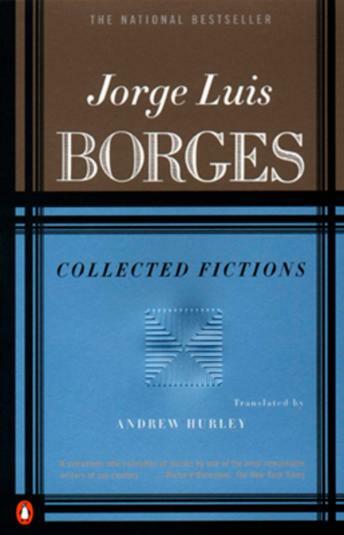 Selections include: Borges and I, The Garden of Forking Paths, Man on Pink Corner, The Library of Babel, Death and the Compass, The Lottery in Babylon, The Maker, The Zahir, The Encounter, The Circular Ruins, Shakespeare’s Memory, August 25, 1983, The Immortal, Parable of Cervantes and the Quixote, The Story from Rosendo Juárez, The Aleph, and Dreamtigers.